Royal Caribbean Productions is seeking exceptional singers, to be a part of Royal Caribbean Productions outstanding entertainment program. We currently feature numerous production shows, Broadway productions, ice shows, aqua shows, aerial shows, as well as many other offerings onboard our fleet of 24 ships. We offer: Competitive Salaries / 5-7 month performance contracts / Family cruise privileges / Paid rehearsal period / Housing / Amazing Itineraries / Professional working environment / Contemporary musical stage productions. 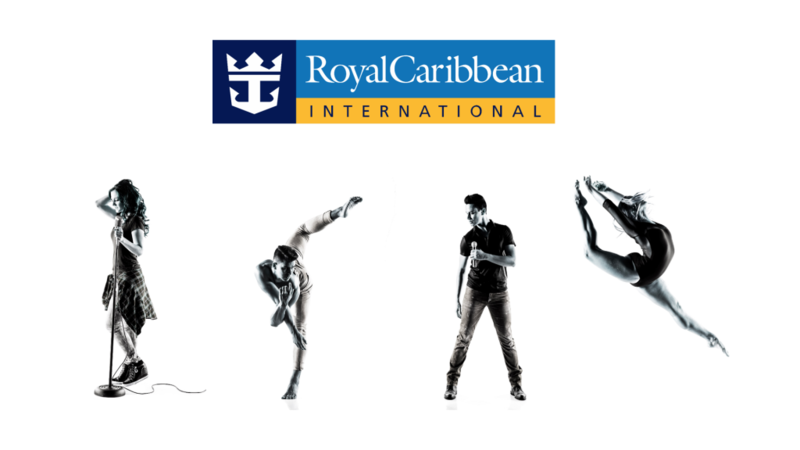 Royal Caribbean Productions is seeking professional, seasoned, and versatile singers ages 18-40 with vocal styles that include: Pop/Rock, R&B, Contemporary Musical Theatre/Broadway, and Jazz. Strong acting ability and foreign languages are a plus. Ladies – Vocal range between G3 – C6, with a strong, controlled belt/mix up to an F5. Please be sure to bring your current head-shot and resume. Please visit http://www.royalcaribbeanproductions.com/auditions to register for an audition or feel free to contact our friendly team at rccl@connectauditions.com.au or 0414 692 943 for further information.